When you are concerned much about your health, the answer starts with walking and jogging. Walking can get rid of the excess fat alongside preventing from diseases and fresh up your mood and there is nothing like walking. It’s quite important for the users to understand how much they are walking per day, i.e., they need to track their walking activity but how? 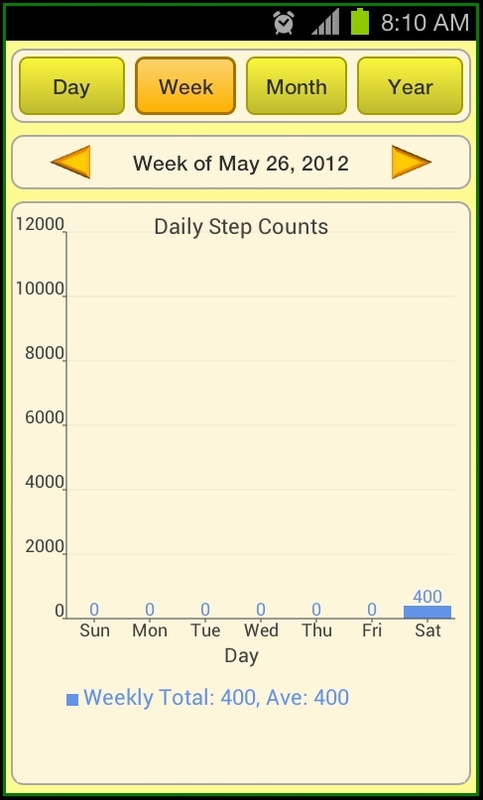 Thanks to the Android smartphones and thanks to the Google Play Store that the Accupedo meter an Android application is available to monitor your daily walking count. 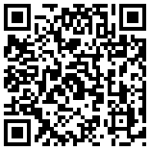 What more interesting is that this application is available for free download. This application will be installed as the widget on your home screen and this uses the intelligent 3D motion recognition technology to log your walking activities. 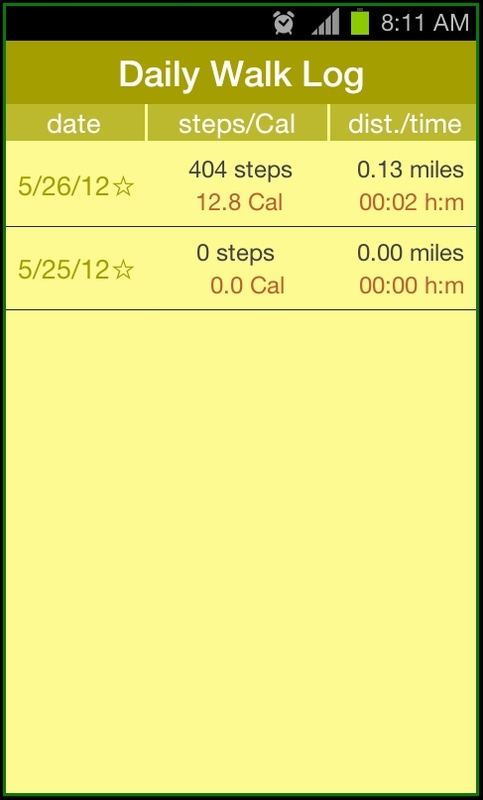 A great thing about this application is that it work even though your phone in the pocket or in bag or wallet. It front end display will provide you the information on the distance you have covered, calories burnt, steps you have taken and time taken by you to cover that distance. The walking log is set to reset at midnight and your daily activity starts again. All these are stored on a row log sheet and chart is too available but for the PRO version only but available for 7 days free usage even in the free application itself. Straightaway as you install this application on your mobile phone and run it for the first time you would be asked to provide some settings to power and the information guide on how you can open the Accupedo widget. Well when I scroll through by selecting the Active hours, various other options are activated which includes from personal settings to display settings. 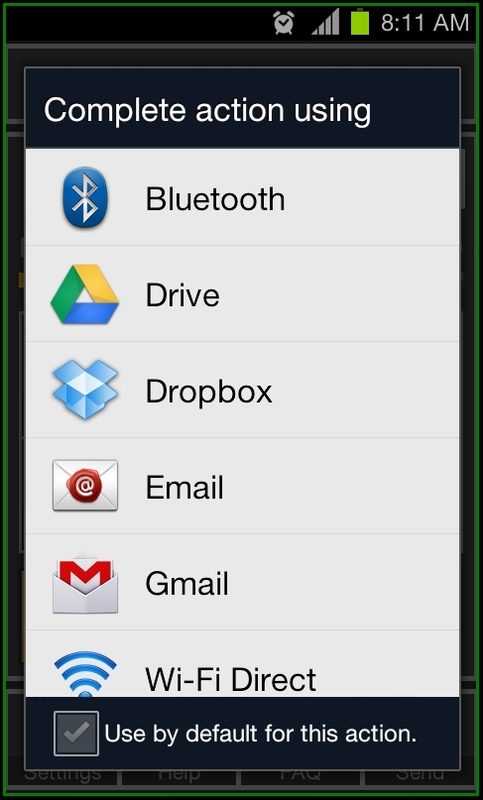 That’s it nothing much in the application but all the things happens in the widget as the name itself indicate that it’s a widget tool. So to install this you need to long press on any of the empty home screen on your mobile phone and you would get various options, tap on Widget and then scroll for Accupedo (lucky to find first as the name starts). Various sizes of the 3 x 1 and 4 x 1 are available to show as the widget and for illustration I have used all the three formats available for you. So this is how it will look on your home screen. 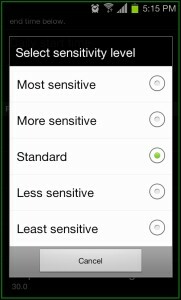 Various Settings are available from power usage mode to screen ON, OFF or forced ON. 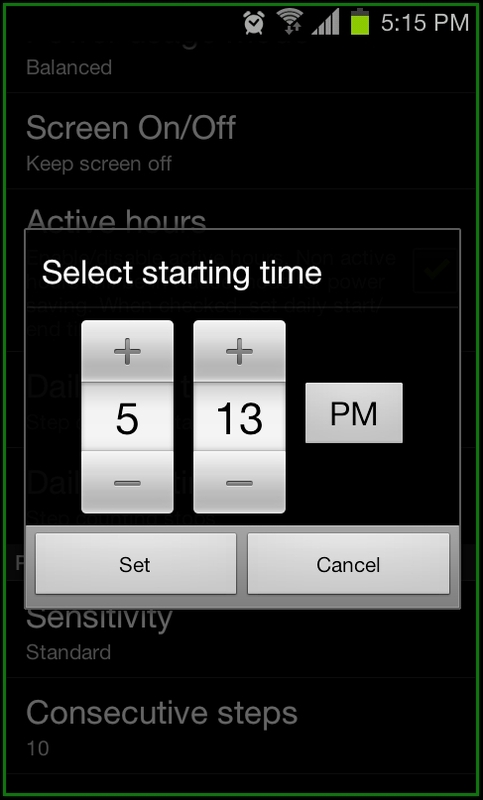 Users have control on how they want to enable or disable the active hours. This options is because during the inactive hours it will be paused for power saving. When you select this you need to provide the end and the start time. When you come to the personal settings you have the options to choose from the most sensitive, more sensitive, standard, less sensitive to the least sensitive. Interesting there are some steps you should take consecutively to start recording and these settings are on the users hand to choose from the 4, 6, 8, 10 or 12. 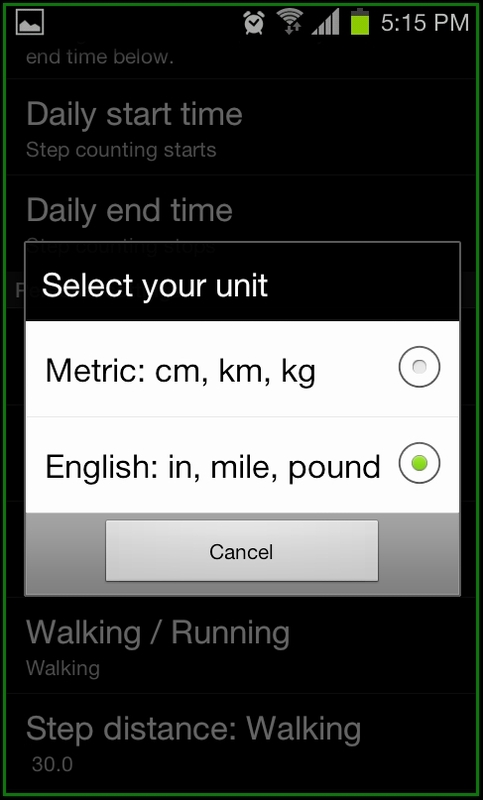 Users have the choice to choose form the miles or pound or inches. 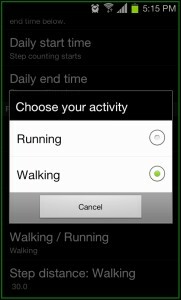 Interesting this application can be used to track your running records as well and the Settings for this is available at Settings tab. Various other settings of set your weight, language, date, time format, first day of the week are available. Accupedo – Pedometer Widget is least known to only 1200 people with a rating of 3.5 out of 5 but application looks very promising. 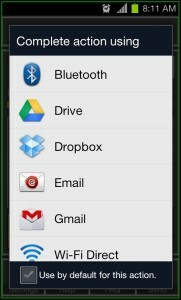 This will work for all the version of Android devices which are higher than the Android 2.1. 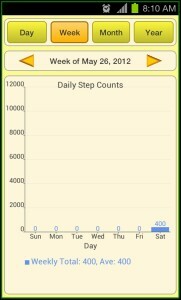 Accupedo – Pedometer Widget Android application can be easily downloaded from Android Apps Labs for free. To download it directly on to your mobile phone, you need to visit the Android Apps Labs page listing of this application from your phone’s browser and then click on Install to automatically install this app. 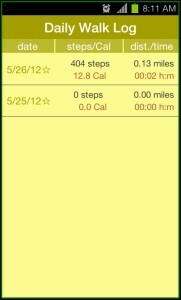 A very perfect application for those who want to keep a track record on how much they have walked or run. Recommended!